Kalanchoe tomentosa ‘Chocolate Soldier’ is a beautiful, shrubby, slow growing, perennial, succulent plant, up to 2.6 feet (80 cm) tall. The stem is robust, branched at the base and densely hairy, with the base becoming woody with age. The leaves are thinner and longer than for the standard species and much more brown all around the edges with nearly black markings at the tips. Flowers are small, bell-shapes and golden ginger in colour. Locate the indoor Panda Plant in medium to bright light. 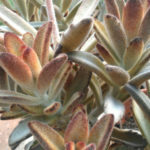 As with most succulents, soil should be allowed to dry between waterings. In fact, watering is a limited part of Panda Plant care. When you do water, do so completely while giving the plant the infrequent drink. 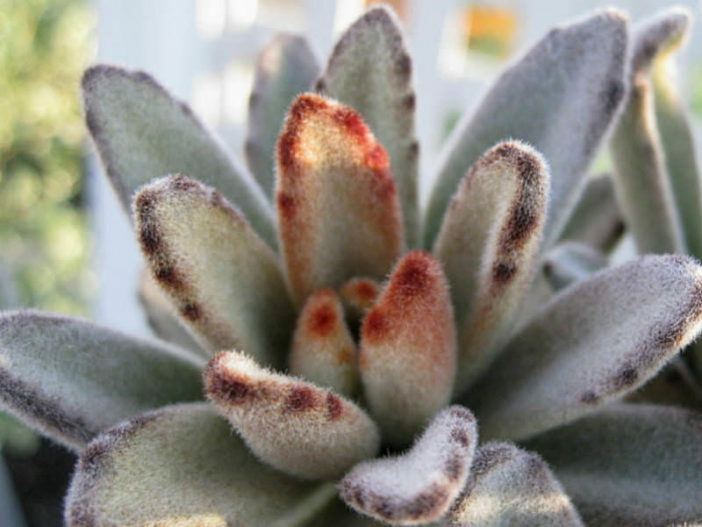 You’ll find humidity is not an issue when learning how to grow a Panda Plant successfully. 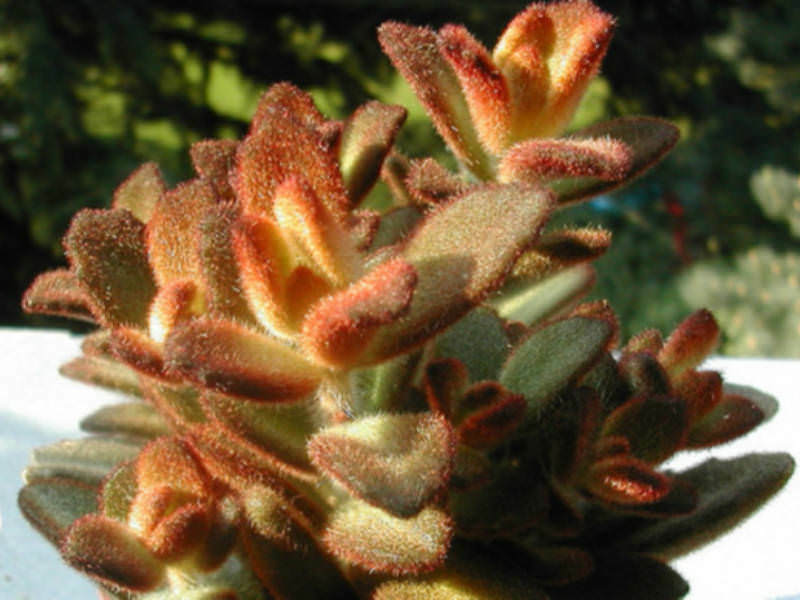 The average room provides enough humidity for this easy-care, furry plant. The indoor Panda Plant can live for many years in these conditions. Move it outside during spring and summer, if desired, but provide protection from hot afternoon sun. 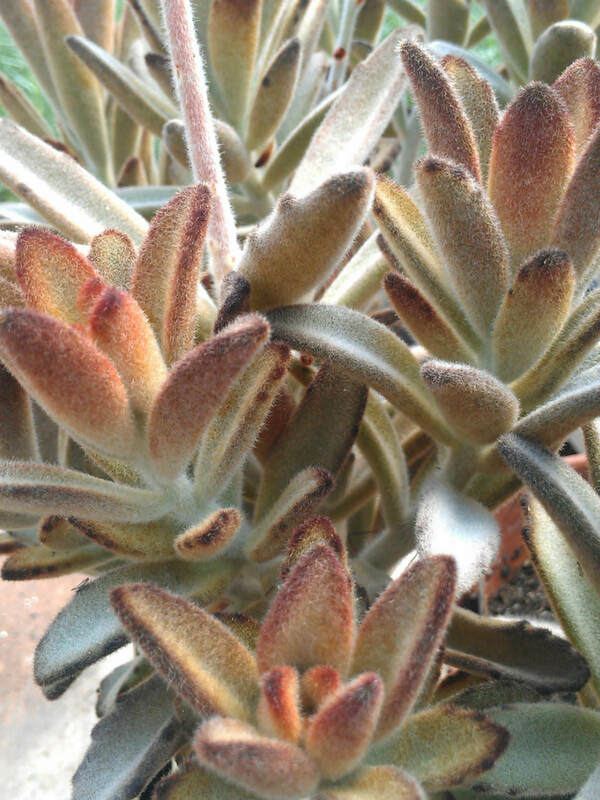 Fertilize during these months with a balanced houseplant food mixed at half strength as a part of Panda Plant care. When you’re growing Panda Plants, you’ll likely find more areas in the home that would benefit from one of these plants. 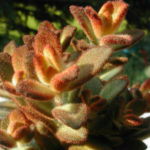 Propagation of the Panda Plant is easy and an inexpensive way to get more of the plants. Root leaves of the plant in spring or summer in a sandy potting soil or a perlite mixture… – See more at: How to Grow and Care for Panda Plant.